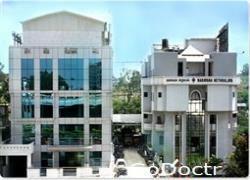 Dr. Solanki Eye Hospital, synonymous with eye care services, for over 28 years, is conveniently located in the heart of Bangalore city. This stand-alone hi-tech centre sprawls over 15,000 sq. ft., designed exclusively for a gamut of ophthalmic services. Very few hospitals offer a similar range of facility and services combined with economical packages – under one roof. Thanks to Dr. Narpat Solanki an Ophthalmologist by profession and a leader committed to deliver best of technology, skilled & well known Clinicians value and supporting staff to achieve the Mission Vision and Values for the patient to experience in a serene ambiance in par with global standards. At D.S.E.H. Ophthalmic surgeons, nurses, technicians and paramedical staff on the serving panel offer the best of eye care services, which are enhanced by the ambience of the hospital. Dr. Solanki Eye Hospital has achieved laurels locally for treating National & International patients. he Out Patient Department has spacious consultation chambers fitted with the latest equipment for comfortable eye examination. The large waiting area on every floor ensures patient comfort at all times. Strengthening the OPD are the Ophthalmic Diagnostic Services, which support effective treatment with a range of hi-tech equipment for precise diagnosis. Every sub specialty is equipped with imported instruments approved by USFDA or international agencies. The State-of-the-Art Operation Theater complex has Modular Operation Theaters with laminar air flow that ensures complete safety, reducing infection rates to 0.01%. Operation microscopes are from Zeiss Germany. The interiors are ergonomically planned, with comfortable In patient and day care facilities. 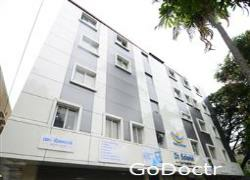 Well ventilated rooms, a modern Day Care ward, private and deluxe suites are available. The rooms and elevators are user friendly, designed to accommodate wheel chairs and stretchers. Friendly Patient Care and easy access of quality eye care Treatment on priority will be the focus in all aspects of successful service deliveries at Dr. Solanki Eye Hospital. We Give Simply …..Eye care. Dr. Narpat Solanki completed his Masters in Ophthalmology from Rajasthan University in 1986. He set up his own practice in 1987 at Bangalore as Chief Eye Surgeon and Medical Director of Mahaveer Eye Hospital Pvt. 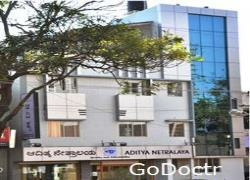 Ltd, which is now known as Dr. Solanki Eye hospital (DSEH). He was actively involved with establishing the Bhagwan Mahaveer Jain Hospital, Bangalore as a member of the Medical Advisory board. Dr. Solanki has also been the Founder and Honorary Medical Director of Bhagwan Mahaveer Jain Netralaya. Dr. Solanki has a credit of having successfully performed over 80,000 surgeries till date. 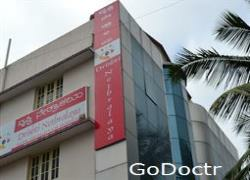 Dr. Solanki Eye Hospital is a super specialty eye hospital with a built up area over 15,000 sq. 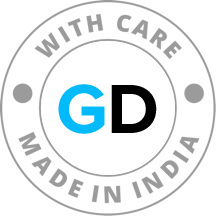 ft. designed exclusively for a gamut of ophthalmic services and well-equipped consulting chambers. Very few hospitals offer a similar range of facility and services combined with economical packages – under one roof. As the Chief Surgeon and Medical Director of DSEH, Dr. Solanki leads a team of highly qualified and skilled eye surgeons. He set up Project Drishti (a unit of the Smt. Jivibai Genmalji Solanki Charitable Trust) in 2001 to provide quality comprehensive eye care services to the poor and under-privileged sections of the society. Project Drishti has screened more than 13,00,000 people and performed more than 1,42,000 free eye surgeries till date. Hon. Advisor to “Lions Eye Hospital”, Rani. Honored as "Shrut Samvardhan Puraskar" for the year 2011 by "Shrut Samvardhan Sansthan", Meerut, UP in 2012. Honored as "Doctor of the Year 2012" by Family Physicians Association. Shortlisted by Namma Bengaluru Foundation as one amongst the top five Citizens of Bangalore in April 2012 for "Namma Bengaluru Foundation Awards". Honored by "Kannada Sahitya Parishath" for exceptional social service in the year 2011. Awarded the "Sraman Bhagwan Mahaveer Manav Seva Award" in April 2005. Awarded "Sunetra Vidyavaridhi" by his Holiness Jagadguru Karma Yogi Swastisri Charukeerthy Bhattaraka Swamiji, Sri Kshetra Shravanbelagola Matha in May 2005. Awarded "Lok Kalyan Award" by International Gita Foundation Trust in December 2005. Awarded the "Navajeevan Sight Saver Award" by the Navajeevan Blind Relief Center, Thiruchanur, Tirupathi in December 2004. The prestigious, Highest State Civilian Award "Karnataka Rajyothsava Award" by Government of Karnataka in 2003. Awarded the "Rotary Community Service Award" for outstanding contribution in promoting the cause of Avoidable Blindness in February 2003. Recipient of "Samaj Bhushan" from Oswal Parishad in February 2003. Awarded the "Rajasthan Shree" in November 2002. Awarded the "Vocational Excellence" Award by Rotary Bangalore for outstanding contribution to the community in the field of Medicine for the year 2000-01. Honored by the Chief Minister of Karnataka-Sri S.M. Krishna on 2nd October 2000 for "Outstanding Social Work"
Honored by the noted Gandhian and Padmabhushan Awardee Shree H Narasimhaiah at Gauribidnur, Kolar District in the year 1999 for Community Services. Recipient of Seva Shiromani Award for Humanitarian Services. Hon. Member-Lions Club of Bangalore East. CMD of Mahaveer Eye Hospital now known as Dr. Solanki Eye hospital, for 25 years. Attended International Ophthalmology conferences at various places like Los Angeles, California, Las Vegas, Vienna (Austria), Spain, France & Geneva. Presented various publications in Journals. Founding chairman of Project Drishti (NGO). Actively involved in the establishment of Bhagwan Mahaveer Jain Hospital, Vasanthnagar, Bangalore since its inception till 1999 as Member of Medical Advisory Board as well as Honorary Consultant.